Are Your Denton County Pool’s Electrical Systems a Mess? Electrical wiring is essential to all forms of pool repairs that need to be done. Every modern pool has some sort of electrical wiring that needs to be maintained in order to ensure that your pool remains in the best condition possible. Regal Pools is dedicated to maintaining a high quality of service for our clients’ and their pools. We have more than 40 years of experience and a wide-range of professional knowledge that comes from working on virtually every aspect of our customers’ pools. Our Lewisville pool technicians can assist all our customers in maintaining the best performance and condition of their pools. We serve Lewisvilleand Denton County. 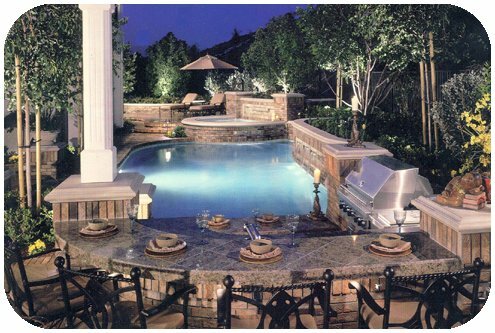 Call us today at (972) 441-7335 to schedule your pool’s electrical services! What Is Included in My Pool’s Electrical System? Electrical wiring repairs deal with virtually all added components to your pool, such as your pool’s automated control systems and power controls, which are all operated through electronic means. These require periodic inspections to ensure optimal condition. Our team at Regal Pools has made it one of our specialties to provide preventative care with exceptional treatment care for our clients’ pools. Need Electrical Work for Your Pool? Electrical wiring repairs are an important part of any pool maintenance check-up. Regal Pools will inspect electrical systems and make recommended repairs or changes to get your pool up to current electrical codes. Regal Pools is known as Denton County’s best pool repair company. We possess a wide range of skills, from electrical wiring repairs, to pool construction and installation. We are sure that our clients will rest easy knowing that we are caring for their pools. Our team is always safety conscious and work hard to demonstrate our care for our customers’ pool and property. For diligent service and repairs on a consistent and regular basis, contact Regal Pools in Lewisville today.